The Cinderella themed Enchantment event is in full swing. The sim itself is just gorgeous, not to mention all of the fun, quirky, and downright beautiful ‘Ella creations to be had. 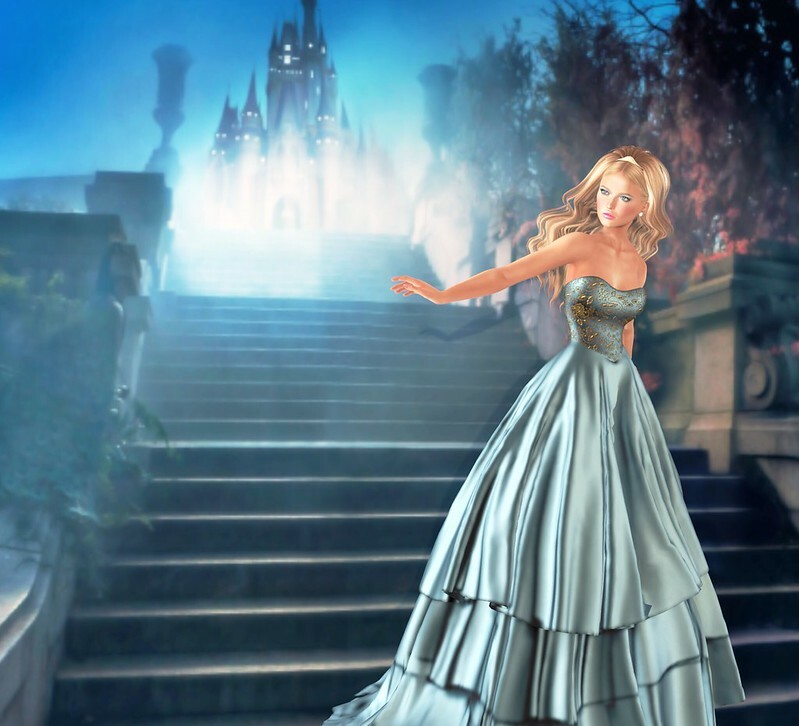 There are so many amazing photography artists in SL, that I was a bit shy to post my Cinderella photo, but I put the work and effort into it, so I may as well! The dress is the rare from a Gacha machine (I now have a love/hate relationship with Gacha) and I’m embarrassed to admit how many Lindens Boot and I fed into that machine before it dropped. I was a little disappointed in how the mesh skirt moves with some poses, but it really is a stunning dress. You can teleport The Enchantment event here. You can also see more information about the event at TheEnchantmentSL.com.